We all know that the textile industry is one of the most polluting and unsustainable industries in the world. Unfair pay, gender inequality and terrible working conditions come on top of bad environmental practices. Thread Spun, a small social enterprise from San Diego, has all this figured out. 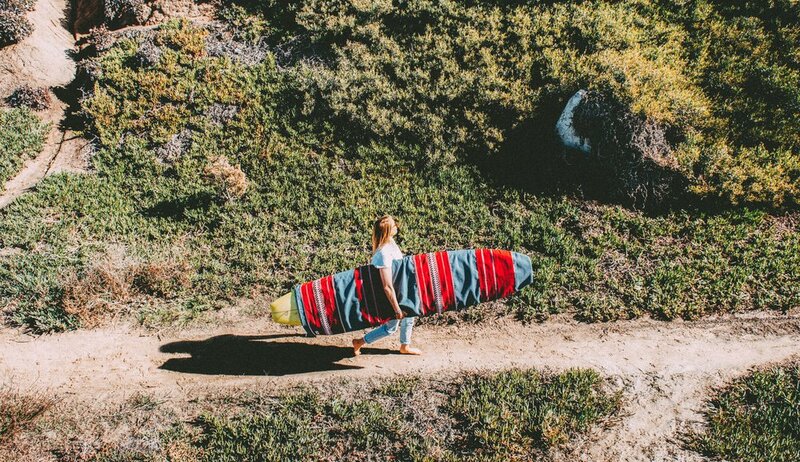 Surfing Craft had a chat with Heidi, the founder of the business, about ethical and sustainable production of surfboard bags and their potential to improve refugees livelihoods. Can you give us an introduction of who you are and what Thread Spun is about? We want our customers to feel good about shopping with us, and understand that they have the power to make big changes in the world through everyday purchases. What inspired you to start Thread Spun? I used to live in Toronto, which happens to be one of the most multicultural cities in the world. Simply living, studying and working in Toronto introduced me to a wealth of culture I had not been exposed to in Arizona. I became really interested in learning more about the process of immigration and began volunteering with Amnesty International, researching the countries of origin of people whose applications for asylum had been refused. I ended up interning with a local resettlement agency and non-profit organisation here in San Diego, and eventually ended up working there after I graduated. I spent four years helping refugees and other special immigrant groups to resettle and rebuild their lives in the US, focusing on integration and employment. I learned just how difficult it is for these people to secure employment, which is really one of the most important steps towards becoming integrated into their local communities. I became pretty frustrated trying to help clients achieve job placements, and most of the time, these job placements paid minimum wage, had no benefits, offered only part-time hours, and required people to travel hours and hours by bus, in a city notorious for its horrible public transportation. I saw a need for more job opportunities and for employers who were willing to pay fair wages. Along the way, I met and worked with many refugees from Burma, many of whom were from an ethnic minority group called the Karen (pronounced kuh ren). 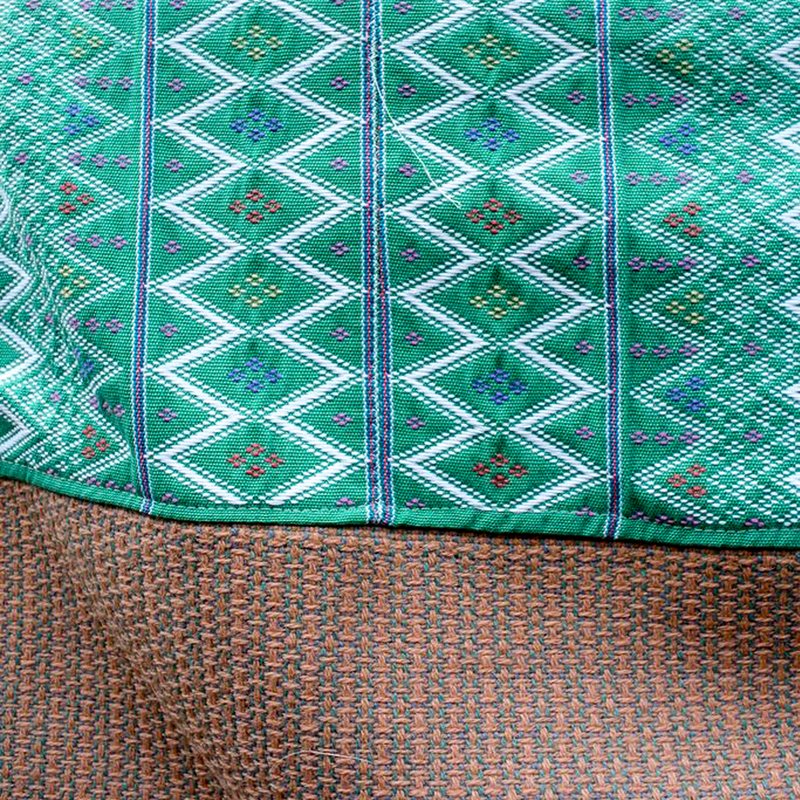 The Karen people weave and wear these insanely beautiful textiles. The older generation of women are the ones I typically saw weaving, and they do it on these intricate looms that they bring all the way from the refugee camps in Thailand. When I looked at the textiles, I started seeing the opportunity they could offer to the women. They were colourful, bright and unique. Friends and family would always comment whenever I had some around. For years, I toyed around with ideas in my head about what could be done with them. After I eventually left my job and had my son, I felt really called to return to the idea of utilising the textiles to create goods for sale. 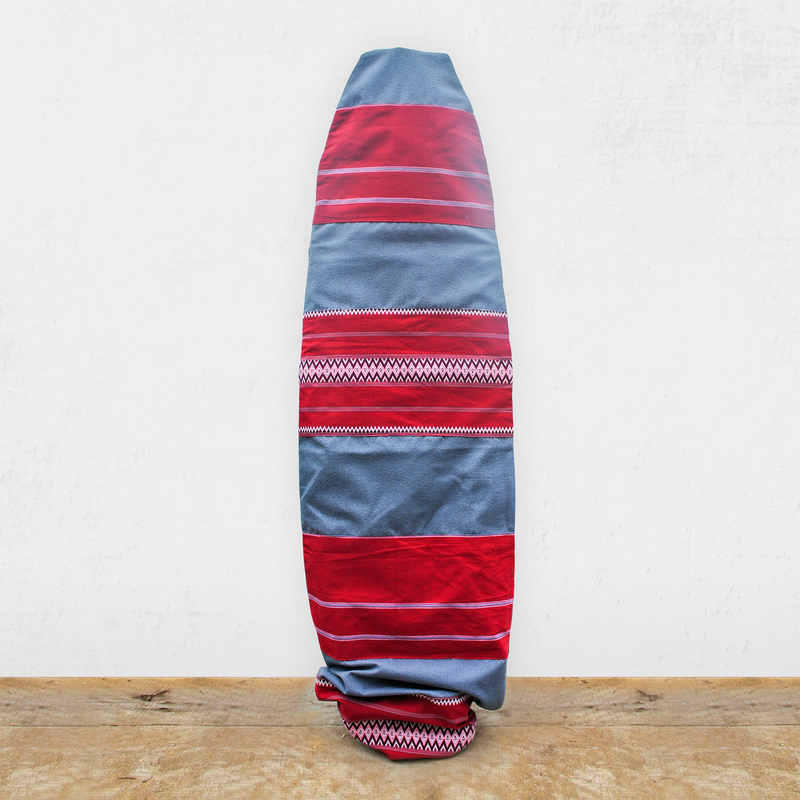 My husband is a surfer and has worked in the industry for almost twenty years, so with his guidance, this calling naturally evolved into the board bags. We created our first collection utilising fabrics woven by Karen refugees living in Thailand, and they were sewn up locally by a former Karen refugee (and now a proud US citizen!). Now, we're expanding even further and it's super exciting! We've got a lot of ideas and projects in the pipeline. Can you tell us a little bit more about the textiles used for the board bags? Things have evolved from the Karen weavings that went into our first "Burma Collection". We now partner with three organisations abroad. We have projects in the works that are utilising textiles from a non-profit called ﻿Maya Traditions, which is in Panajachel, Solola, Guatemala. Maya Traditions brings together a number of artisan cooperatives, and currently works with over 120 indigenous women. Artisans produce all textiles on traditional backstrap looms and use natural dyes. The foundation connects female artisans with markets committed to fair trade and offers education driven social programs, increasing economic opportunities in local communities. The textiles we have on hand from Maya Traditions are amazing. They're super bright and vibrant and they really pop. 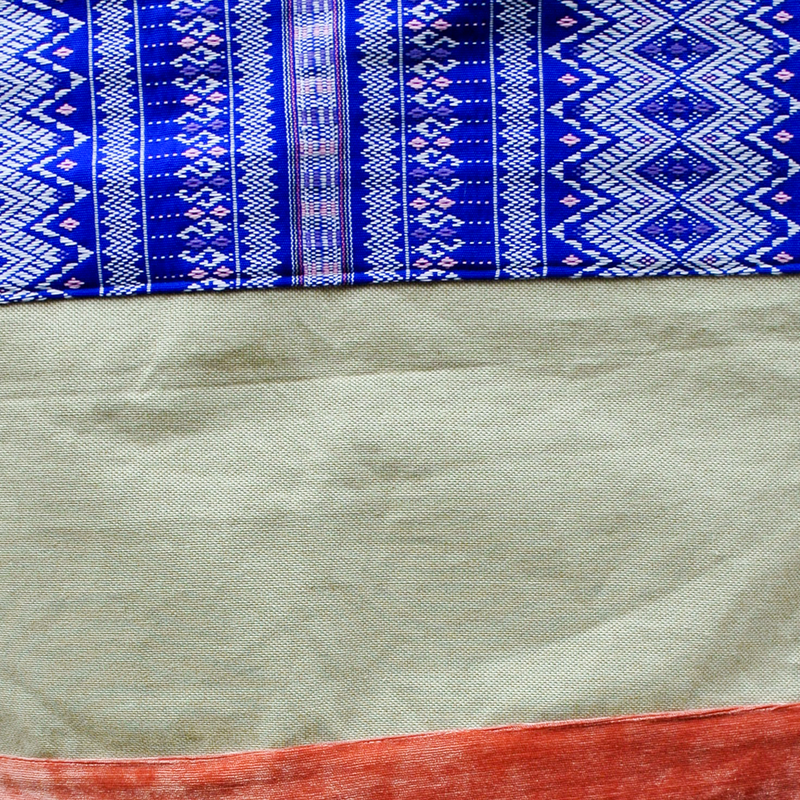 Our next supplier is Yoyamay Ethnographic Textiles Gallery, which is in Yangon, Burma, and supports groups of artisan weavers located across Southern Chin State. Traditional Chin textiles are made of pure cotton (often handspun) and sometimes silk and are woven on traditional backstrap looms. 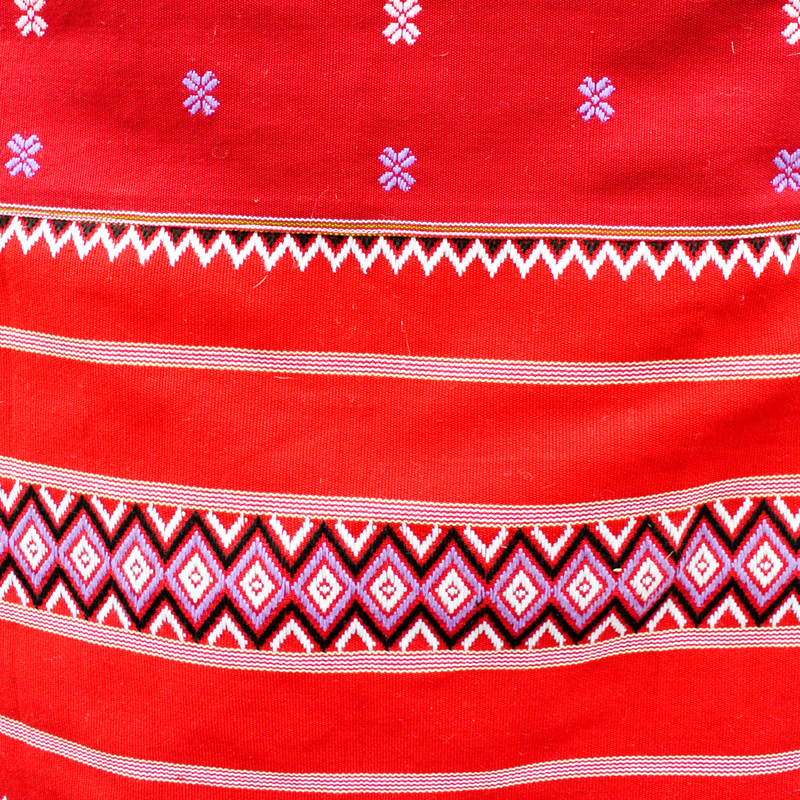 National dyes, traditionally vegetable based, are used, and patterns and motifs reflect Chin culture and the environment. Like Karen people, the Chin people are comprised of a number of minority ethnic groups, historically targeted and persecuted by the Burmese government. They continue to experience human rights violations by the state and in many cases, worsening living conditions. Yoyamay seeks to provide increased economic opportunity by providing Chin weavers with increased access to domestic and international markets, while also allowing them to participate in farming and other supplementary income activities. Our last current supplier is Le Ndomo Social Enterprise, which is located in Pelengana, Mali. Ndomo was created to address the unemployment problem of young people unable to attain an education. These young artisans use traditional looms as well as improved looms in the production of their textiles. Committed to sustainability, only 100% organic cotton and natural dyes are utilised. In addition to employment, Le Ndomo provides technical training and support to each of its young employees. Do you design the board bags yourself or is it up to the creative freedom of your seamstress? Some of the board bags are designed by our employee, Pleh, and others are designed by myself and Clarke. Honestly, the design aspect of it kind of stresses Pleh out, even though she is so amazing at it. She has years and years of experience with sewing, and her comfort definitely lies there. But I am always trying to coax her inner designer out, because she is so talented. For the most part, I personally design the bags and cut all the fabrics. Pleh then steps in and sews them. Our number one priority right now is increasing our sales to the point where we can afford a second (and hopefully, third, fourth and fifth, etc.) employee that will design and cut all the fabrics. Part of your profits go back to non-profit organisations and carbon offset programs. Can you elaborate on that? 25% of our profits go directly to non-profit organisations. We are currently partnering with Surf for Life International, which sponsors high-impact, sustainable development projects in under-served coastal communities. As we move forward, we are working to partner with additional organisations supporting refugee and immigrant groups around the world. We also partner with Terra Pass, from which we purchase carbon credits monthly to offset the carbon dioxide emissions created when our goods are produced and shipped. Terra Pass, in turn, funds projects around the US that destroy greenhouse gases and produce renewable energy. Thanks so much for taking the time to talk to us! Now, where can we get a bag? If you're local here in San Diego/Encinitas, please check out our bags at Atacama Surf Shop in Little Italy, and at Surfy Surfy in Leucadia. Otherwise, head over to our website at www.threadspun.co and order your handmade board bag! Here are just a few examples of the colourful surfboard bags with their intricate patterns that Thread Spun designs.